Charlie is a textbook case of why we need to educate people about proper pet care! He's the result of un-fixed pets, and irresponsible adoption. He was given away for free, and when his owner didn't want to be responsible for him any more, he decided to shoot him. Luckily, his friend intervened, and BCR was contacted. 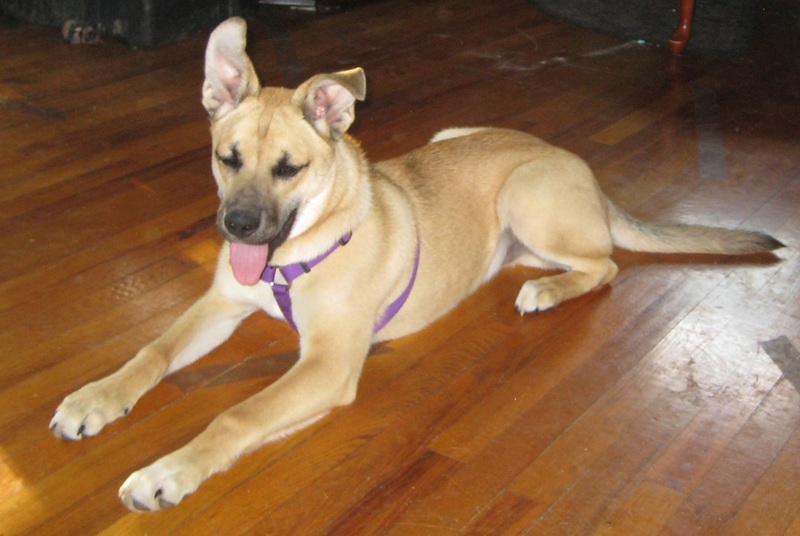 Charlie gets along brilliantly with other dogs, and loves to wrestle and play tag. He's not a loudmouth, and is very curious about cats and toddlers! He needs some basic training, but is picking up commands quickly. Charlie doesn't push to be on the furniture, but is a BIG cuddle bug. He'll lean on you when he can, and likes to sleep with his person in bed!